Antique sewing machine - Gold Medal 2. 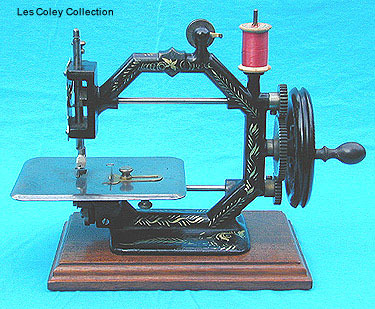 This pretty octagonal form machine is generally given the name "Gold Medal". It was manufactured in the USA during the 1870's. A chain stitch is produced with the aid of a Raymond looper. Some examples have a round cloth plate.